Do I Need A Passport To Go To Puerto Rico From The U.S.? Do I Need A Passport To Go To Puerto Rico From The U.S.? Do I Need A Passport To Go To Puerto Rico From The U.S.? Many countries require US citizens to use a passport to enter that country. It does not matter if the entry is by land, air or sea. For countries that have border agreement with the US, then a state-issued ID or driver’s license is accepted if you do not have a passport. In addition to having a passport, the passport must have some validity to it. For example, some countries require a valid passport with three months of validity while others want six months validity. Some require only one-month validity or for the passport to be valid when entering. Nevertheless, a passport is necessary. Puerto Rico, like other U.S. territories, does not require U.S. citizens or green card holders to visit the island with a passport. Similarly, Puerto Ricans can come to the U.S. without a passport. However, a proper form of ID must be used as proof of identity to enter Puerto Rico, as well as for Puerto Ricans coming to the U.S. These IDs can be a driver’s license, state-issued ID, or green card. Minors can use a birth certificate or Consular Report of Birth Abroad Certificate. Any non-resident of the United States must show a passport to enter Puerto Rico. Similarly, if any citizen of another country should come into the US, they must provide a passport. If a visa is necessary, then the visa must be presented to an immigration officer. If you enter Puerto Rico form another country, you will surely need a passport. 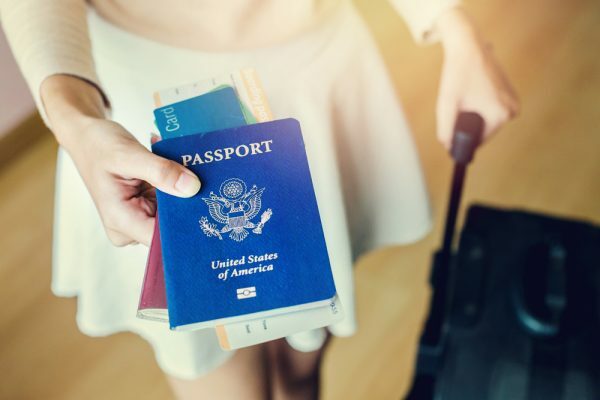 You will need a passport to enter a non-U.S. territory, so it is best to carry it with you to come in. Legal residents may use their country of origin passport since they do not have a U.S. passport as of yet. As for minors, if they have a U.S. passport that will not be a problem. If not, then the minor can use a birth certificate or other documents to prove his or her identity. When leaving Puerto Rico, if your trip is back to main the land, then you can use any form of legal identification. If you will enter from a non-U.S. territory, then a passport is necessary. Going from Puerto Rico to another country, you must present your passport to enter the country. Any other form of IDs will not be accepted unless the country is a US territory. If you are not a U.S. citizen or permanent resident, then you must use a passport to enter and exit the Island. Likewise, if you plan to visit the United States from Puerto Rico or any other country, you need a passport to enter. You may require getting a visa in some cases, check with your embassy or consulate for verifications. So, U.S. citizens and permanent residents do not need a passport to go to Puerto Rico if they are coming from the U.S. If coming from another port and entering Puerto Rico, then a passport is necessary to enter the island. Any residents of US territories can enter the United States or another US territory with any legal form of identification. If they choose to use a passport, it will be accepted. Otherwise, a state-issued ID or driver’s license will do.